Disneyland "Readmission Tickets" were a double edged sword - bummer because the attraction you were waiting for (or possibly riding) broke down, but the good news is you get one of these Readmission tickets. 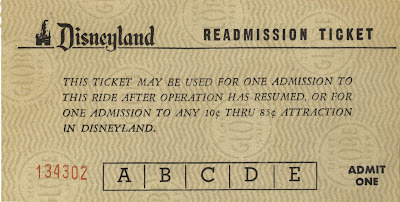 Its even better if the attraction that broke down was less than an "E" ticket, because these little "were sorry" tickets are good for ANY attraction! 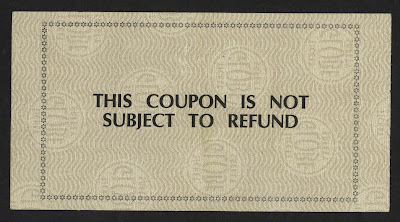 Year unknown, I would guess early 1970's. 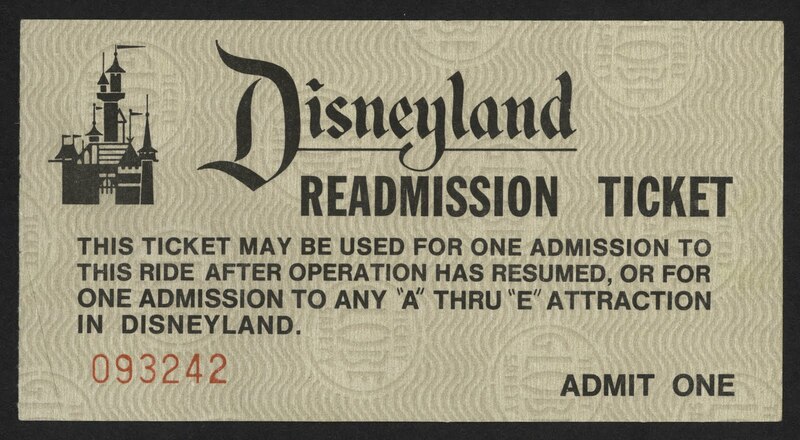 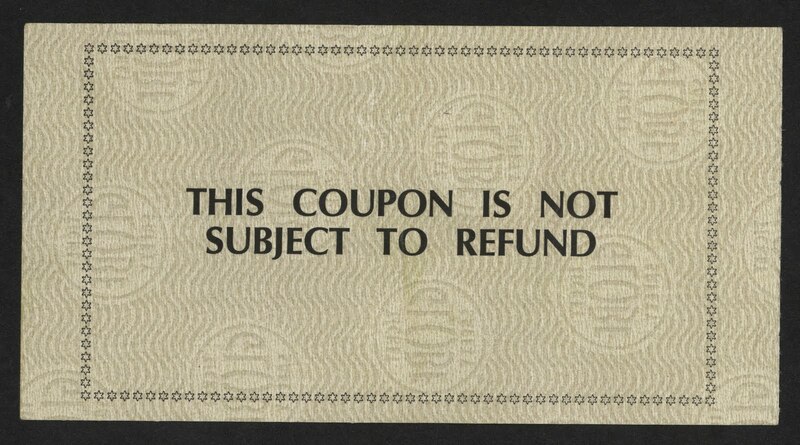 Previously posted (more than once) Readmission ticket from 1977.